YouTube Videos – You can create decent versions of cover songs to put up on YouTube and start building a fan base if you can play a few chords on the piano to accompany yourself. It doesn’t have to be amazing playing, just enough to pad out the chords of the song and PRESTO – YouTube video. It also gives you the versatility to make the song your own so that you stand out from the crowd. Learning songs and playing your own vocal warm ups – If you can play the piano and sing then you will not be restricted by backing tracks. You can really start to make songs your own. Improvisation – This is more of an advanced singing technique here but being able to reference guide tones is a crucial piece of the puzzle when learning to improvise. The piano makes this process easy. Earning more money – The demand for singers who can play the piano well is HUGE. Why? Because venues only have to pay one person to get the sound of two musicians. They pay less but you take home more. Much more. In fact, my solo gigs where I accompany myself on piano are on average my highest earning live performances. 1. Teach primary school aged children the basics of playing piano. Depending on your location you can get a decent amount per half hour for this. In Australia for example, the rates for private lessons are really high so it just makes sense to add this to your income stream. 2. Create charts for other musicians to use who don’t know enough about music to write them themselves. Complex horn charts in Australia (at the time of writing) go for around $60 a chart. Most people need at least 5-10 charts done at a time, so you do the math. You can easily charge around $10-$15 for a simple chart (i.e chord symbols over bars with the melody and lyrics) and ask for a minimum of 10 charts at a time. 3. Play piano in other bands – This is a great way to expand your musical network and improve your skills at the same time. You don’t need to be ‘an accompanist for hire’, you can just do synth pad type stuff in a pop band. Easy. So now that we have a pretty good idea of how playing the piano and singing can add to your music career, what do you do if you find playing and singing really difficult? In today’s video I’ll give you two simple but effective techniques to help you play piano and sing better than ever. Being able to play the piano and sing at the same time is a fantastic skill to learn because it means you can get so much more work as a singer. It makes you more versatile because you can gig solo, you can add the keyboard to the stage when you’re singing with a band or you can just play keys and do some backing vocals and get extra gigs that way. If you feel more comfortable singing than playing, you will find that you end up concentrating so hard on what your fingers are doing that your voice goes into autodrive and as a result you dont sing quite as well and the whole performance suffers – and this is because people will listen to the voice over the instrument. I play both guitar and piano and I’d have to say that even though I’m better at piano than guitar, I still find that guitar is an easier instrument to play and sing with than piano mainly because to get a basic nice sound when you accompany yourself, you don’t need to do as much with the guitar as you do with the piano to fill out the sound. When I play the piano, I need to add a few more twiddly bits. However – piano is still my preferred instrument and I’ve got a couple of tips for you today that will help you to sing and play piano more easily. 1. Practice them both separately first. Most people are generally better at one than the other. So for a singer if youre stronger vocally then spend some time practicing the piano part by itself first. Then add your vocals. And do this opposite way around as well – record a little backing track for yourself so play the song on the piano and record it onto your iphone and practice singing along to it to get the vocal part down pat. Then when you put the two together, it should come a bit easier. I have a tendency to do too much to fill up the space but when I listen back it always sounds better if I leave more space and play less. So, just stick to just sounding out the main chords and quote the arpeggios a little bit and that should be more than enough. If you’re only just starting, and you have a keyboard with a few sounds, add a pad sound layer to the keys and it fills up the space and sounds really nice. (Give example). So use what tools you have at your disposal to make your playing sound good without having to be a fantastic player. The more you do something the easier it will become, so just keep practicing you’ll get there. Did you find this video useful? If you did, please let me know in the comments below. 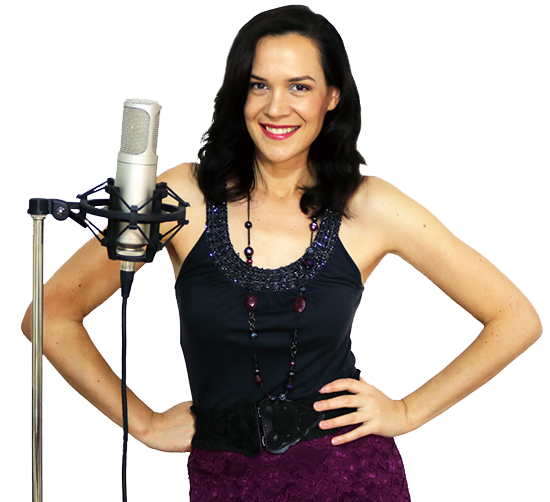 Thank you Nicola I love your original approach in offering performing tips and helpful advice. I play guitar and sing mostly my own songs and the thing I find hard is singing without having a guitar to play at the same time. I rely of the guitar for timing and also the backing chords that keep me aware of correct pitch. I know some singers can stay on key singing without any accompaniment at all but I have a whole world of understanding to develop before I become at one with that ability. These are some great tips on playing the piano and singing at the same time. My niece loves to sing and is looking into learning to play the piano so that she can have more variety. I like your suggestion on practicing piano and singing separately first. I would add to make sure you point enough time aside in order to get the instrumental and vocal practice in.